Scrutiny: Heena Parmar to play Anarkali in Zee TV's Jodha Akbar..
Heena Parmar to play Anarkali in Zee TV's Jodha Akbar..
Ravi Bhatia and Jyotsna Chandola recently roped to play the roles of Salim and his wife Maan Bai respectively in Balaji Telefilms popular show Jodha Akbar. Now we heard the makers have now zeroed on the beautiful actress Heena Parmar to play Salim's love-interest Anarkali. It is believed that Anarkali was the finest flower in Baadshah Akbar’s harem. He once caught her exchanging a flirtatious smile with his son Salim, after that he ordered her to be entombed alive as her punishment of having an affair with the heir apparent. 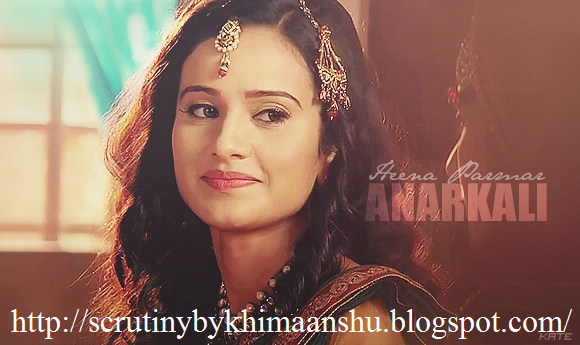 According to our sources, "The historical show will now focus on love-story of Salim and Anarkali. There were many girls who had auditioned for the role of Anarkali, but eventually Heena was chosen as she fits the bill perfectly." For those uninitiated, Heena was recently seen in Rajan Shahi's Itti Si Khushi. She is expected to start shooting soon. We tried to get in touch with Heena, but despite of our repeated attempts she remained unavailable for comment.